A picture is worth a thousand words. However, in the age of Snapchat and Prisma filters, it is not hard to forget that there was a time when photos used to be in monochrome only. Not that those pictures were worth any less than a thousand words,but adding some colours adds a whole new meaning to them. And that is exactly what Dimple Negi set out to do. Born in Uttarakhand, Dimple considers colorization her passion that is steadily transforming into her career. She picked up the basics from online forums and then adjusted the techniques to suitthe Indian palette. She reads extensively about the era she is colouring so as to get as close to it as she can. 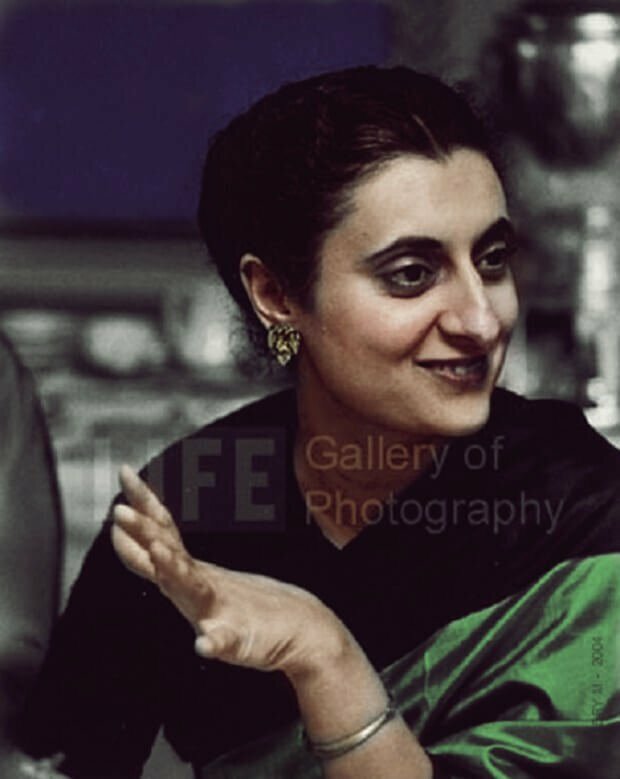 In this series, she took some old photos related to people and events from various chapters of Indian historyand added colours to them. In her own words, "I just set out to attempt to establish a deeper connection between the times gone by, and now; so we could once again bask in its beauty and perhaps relive it too." 1. 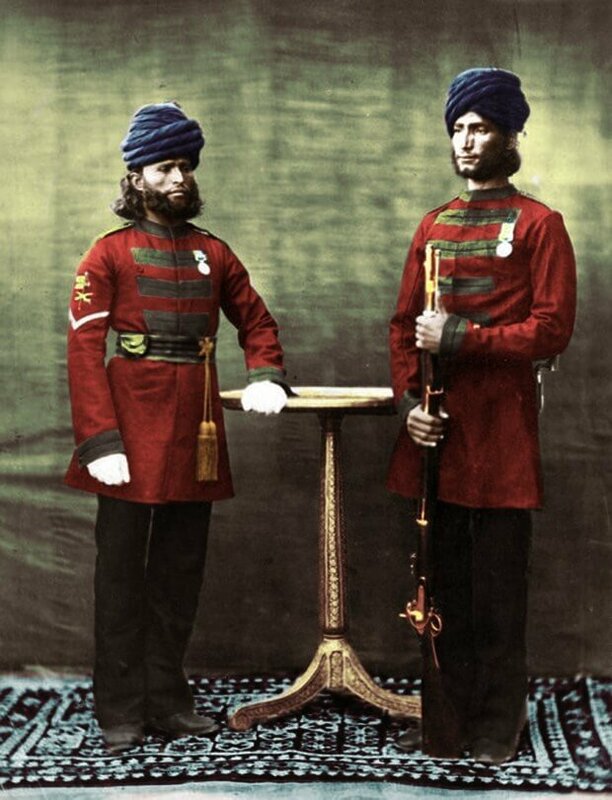 Two Indian soldiers of the British army. 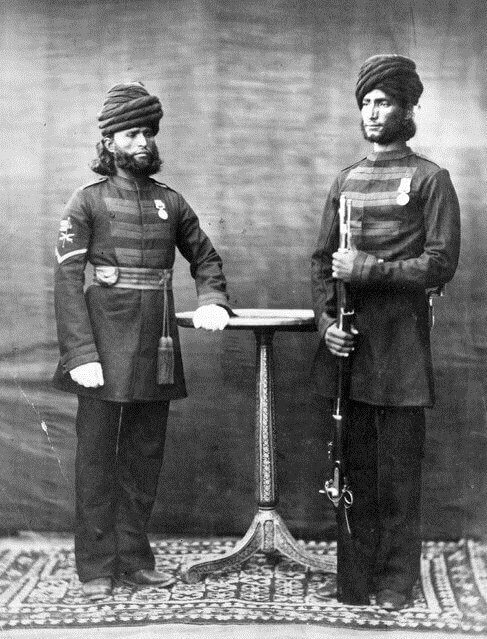 When the British came to India, they got their own military personnel from England. 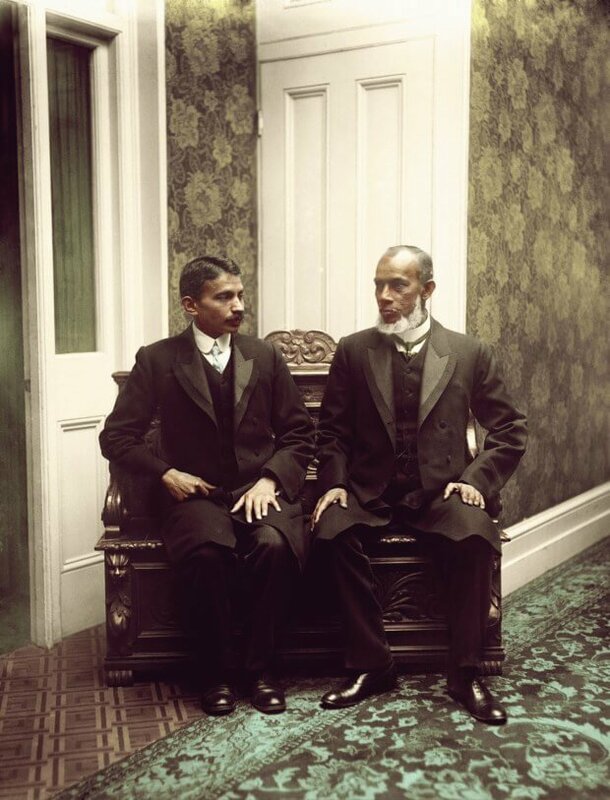 However, as they began settling in, they started hiring local people, and after the mutiny of 1857, the Indian soldiers were also brought under the British crown. 2. 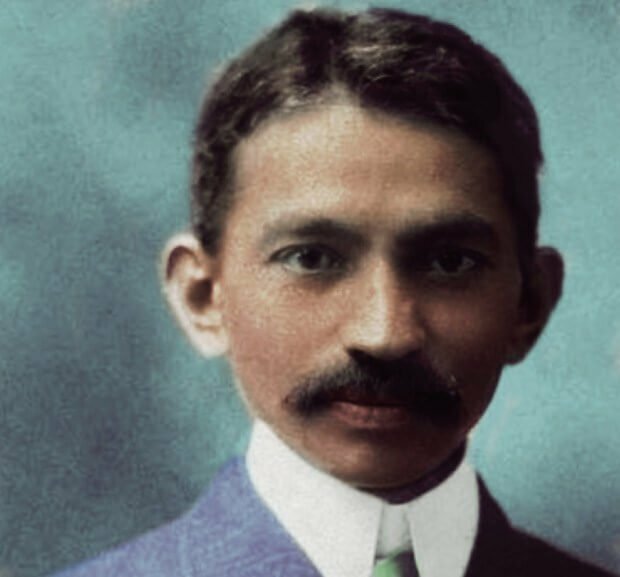 Mahatma Gandhi in his early years. 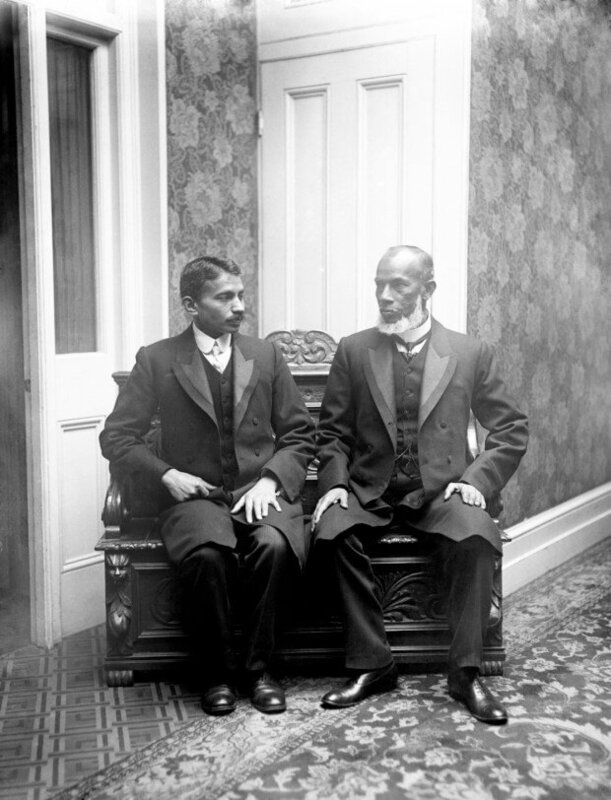 Mahatma Gandhi was first called to South Africa as a lawyer in 1893 by Dada Abdulla & Sons over a non-payment dispute. 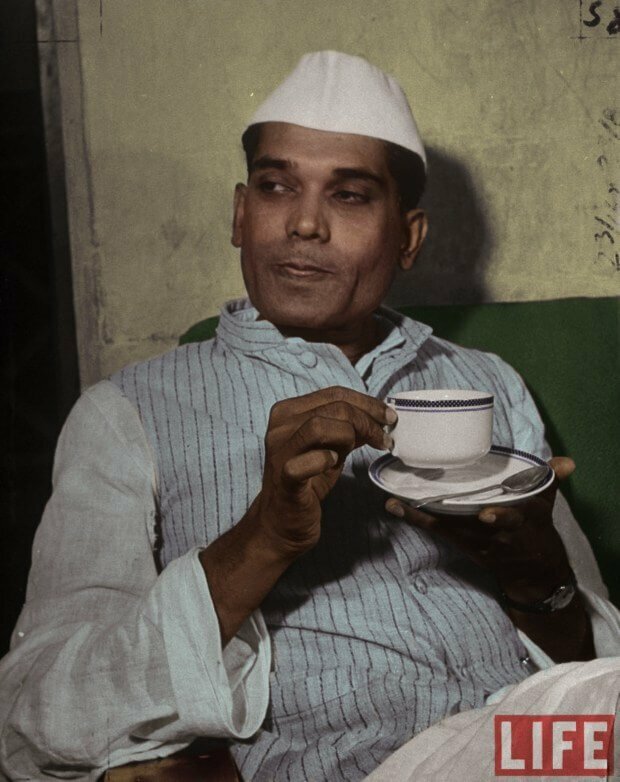 After he came back to India, he went on to become one of the greatest names in the Indian struggle for freedom. Here, he can be seen in South Africa with one of his friends. 3. 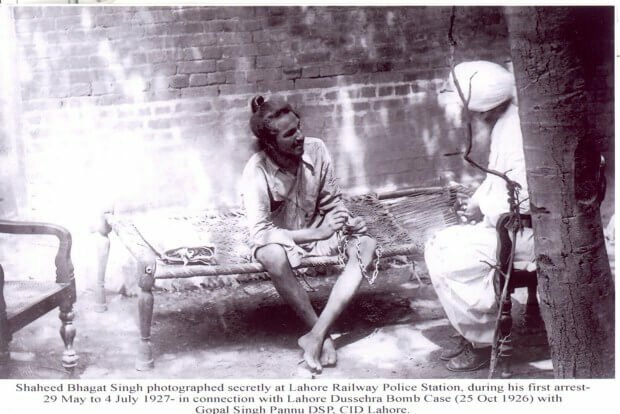 Bhagat Singh at a prison in Lahore. This is one of the most iconic pictures of Bhagat Singh. 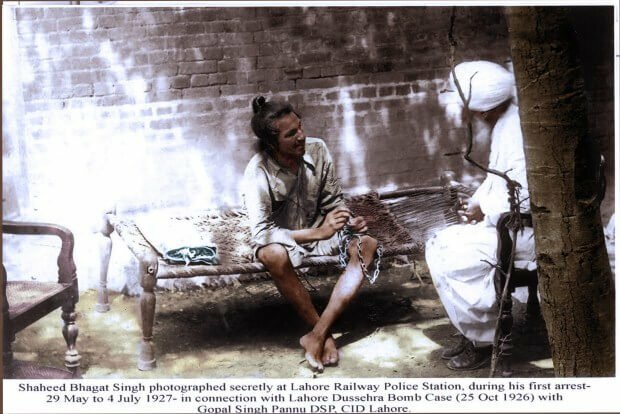 This shows the then 20-year-old in the Lahore Railway Police Station, arrested for the first time in connection with the Lahore Dussehra bomb case. Rabindranath Tagore was probably the greatest Indian artist of the 19th and 20th century. 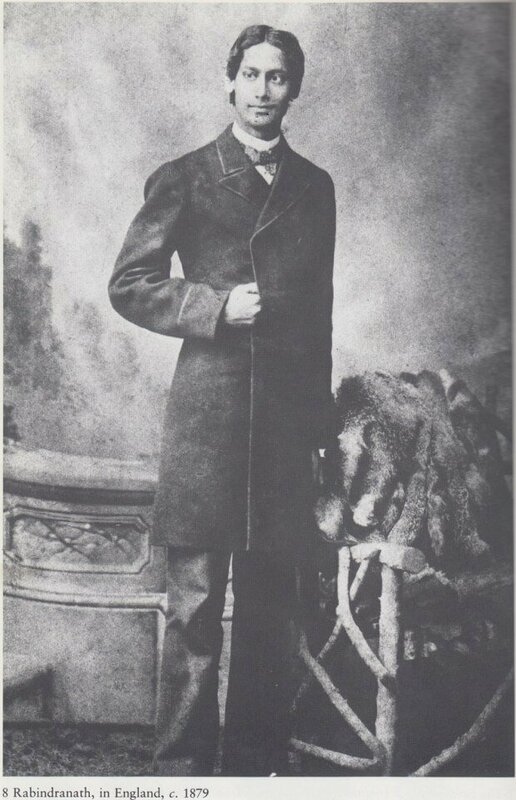 This photo was taken when he visited England for the first time in 1879. The exposure to English culture later percolated into his work, allowing him to createnew modes of music, poetry, and drama. 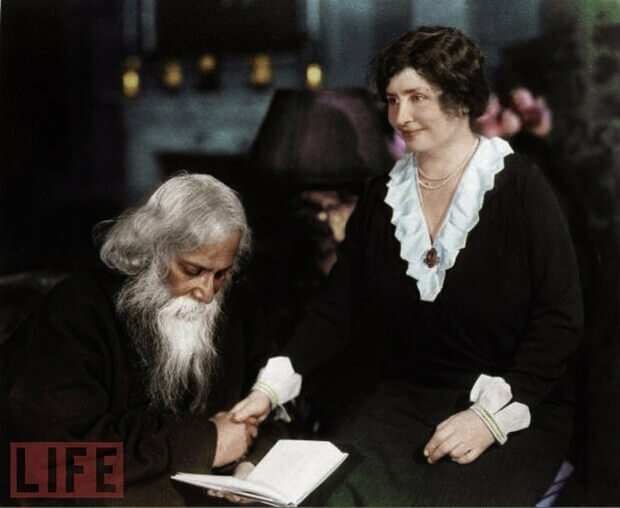 Tagore met Hellen Keller at the New History Society in New York in 1930. About meeting him, Hellen Keller wrote, "sitting beside Rabindra Nath Tagore and sharing his thoughts is like spending one’s days beside the sacred river, drinking deep of honeyedwisdom…"
While efforts to attain freedom were going on inside the country too, Subhash Chandra Bose tried to attack the British from outside the borders in order to send them packing from India. He met Hitler hoping for a military offensive against theBritish with help from Germany and Japan. 6. First Indian Woman serving in the navy. 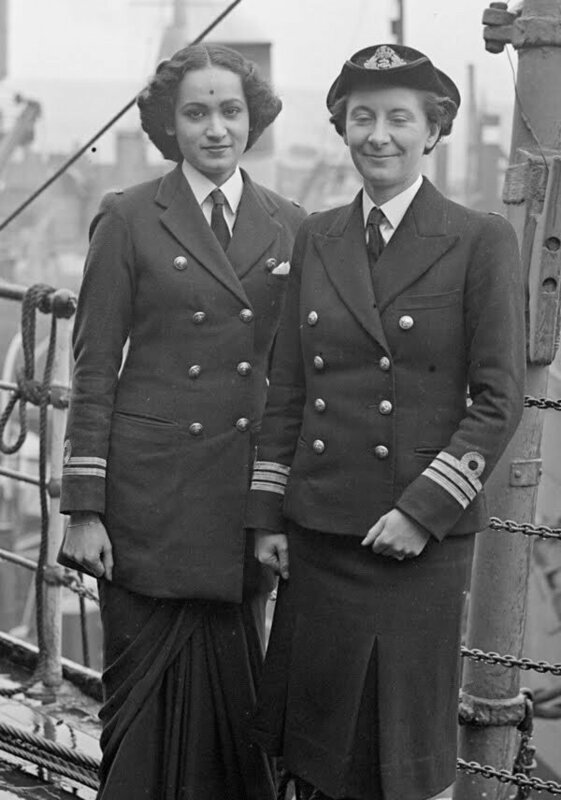 Kalyani Sen was the first Indian woman officer in The Royal Indian Navy. 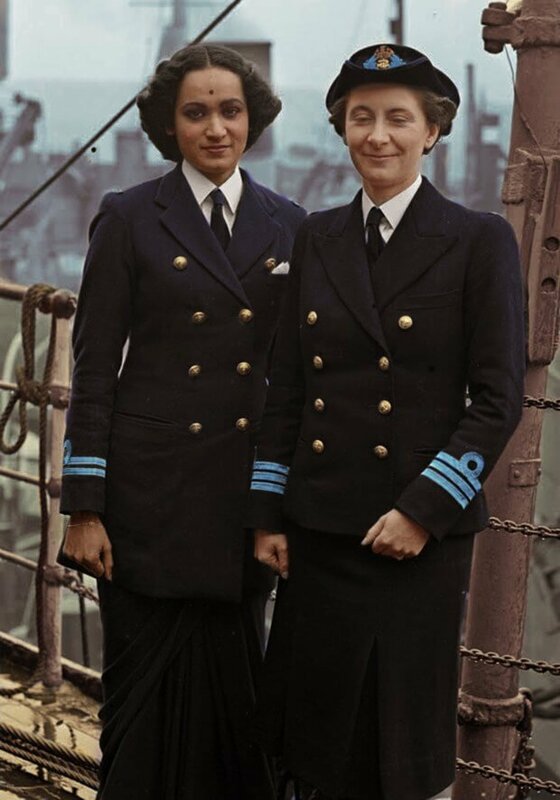 She went to The UK as a Second Officer and is here photographed with Chief Officer Margaret L Cooper. She made a comparative study of training and administrationin the Women’s Royal Naval Service. “In India, there is still a big prejudice against girls and women working with men…but the women are so keen to get into the Services that they are breaking it down,” she said. 7. June Argent in 1940. 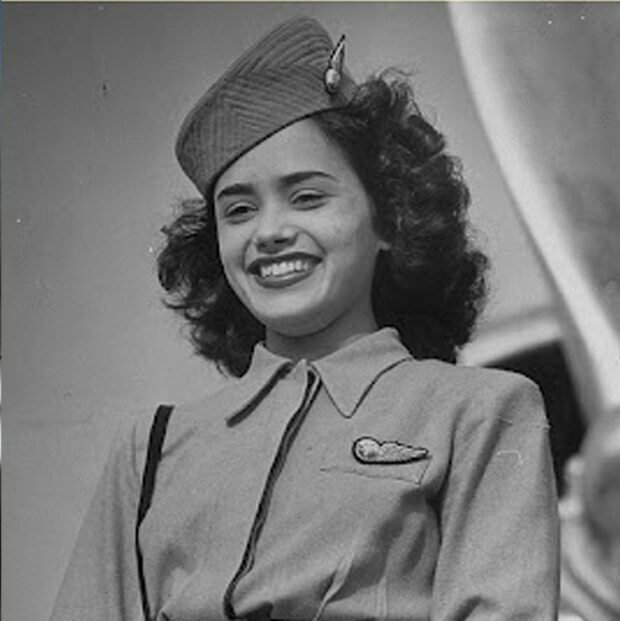 Pictured here is a 20-year-old June Argent, who served in Women’s Auxiliary Corps (India) during the war. 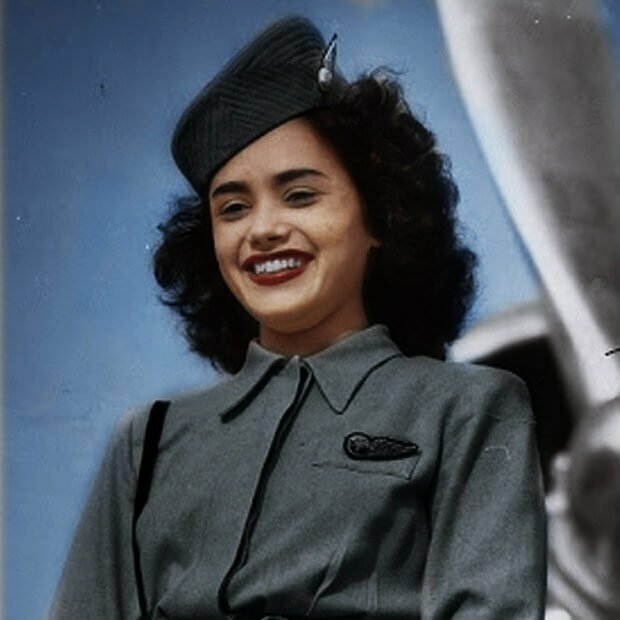 She was the youngest crew member in Air India, which was known as Tata Airlines until 1940. 8. Jinnah, Pakistan's Father of the Nation. Mohammed Ali Jinnah, the founding father of Pakistan, was the leader of the All-India Muslim League. 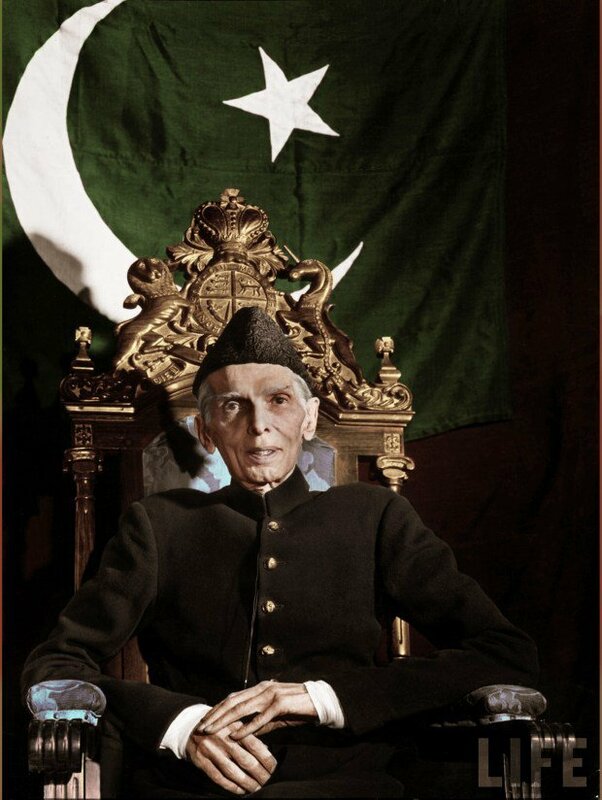 In a 1940 Muslim League session at Lahore, Jinnah made the first demand for a separate nation state to protect the rights the Indian Muslims, and hisinsistence on the issue led to the creation of Pakistan. 9. A newly independent India. 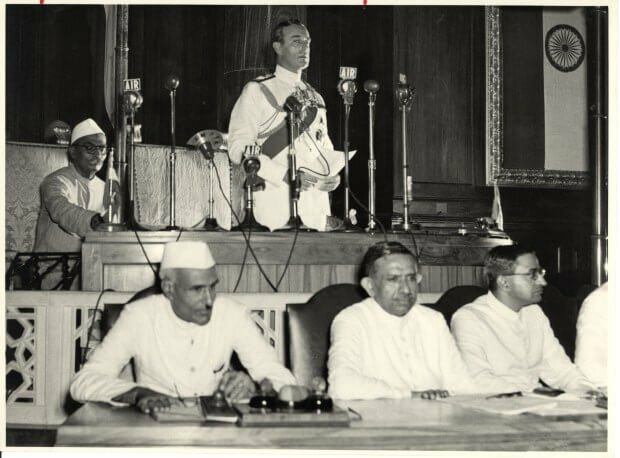 At the stroke of midnight hour on August 15, 1947, India awoke to life and freedom. 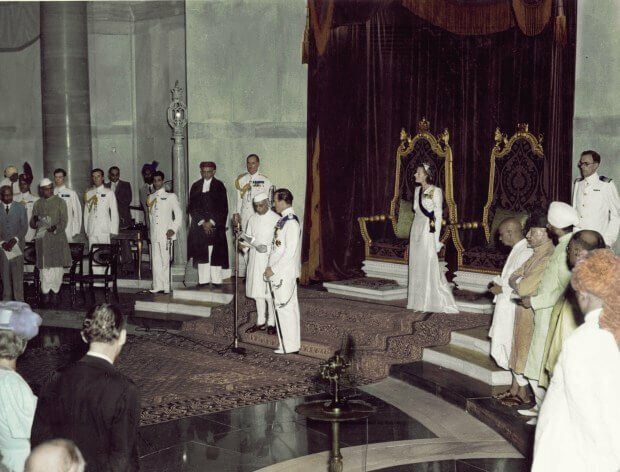 The two photos here mark the culmination of India's long freedom struggle. 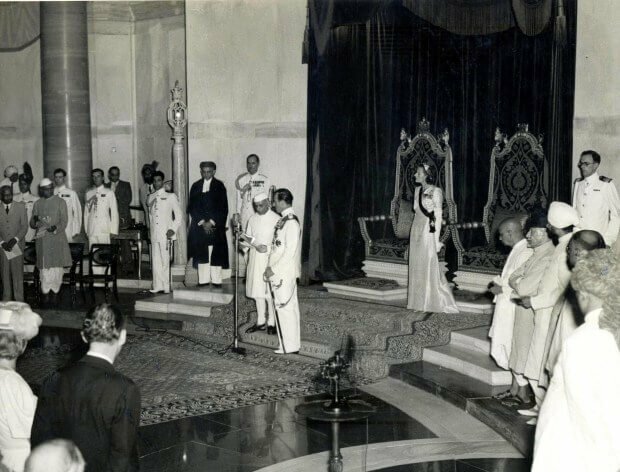 Here, Lord Mountbatten can be seen addressing the Indian Parliament and Jawaharlal Nehru beingsworn in as India's first Prime Minister. Soon after the new-found highs of freedom, India plunged to one of its deepest lows. 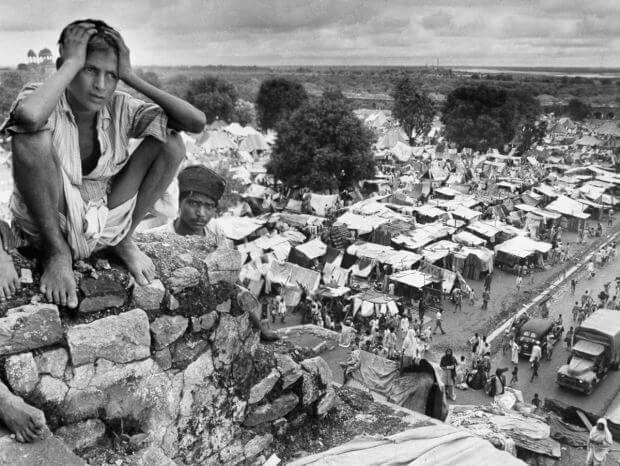 The partition of India resulted in terrible bloodsheds. Hindu-Muslim riots spread out at the India-Pakistan borders. This is a photograph of a young refugee sittingatop a wall of the Purana Qila in Delhi, which served as a shelter. 11. The man who framed our constitution. 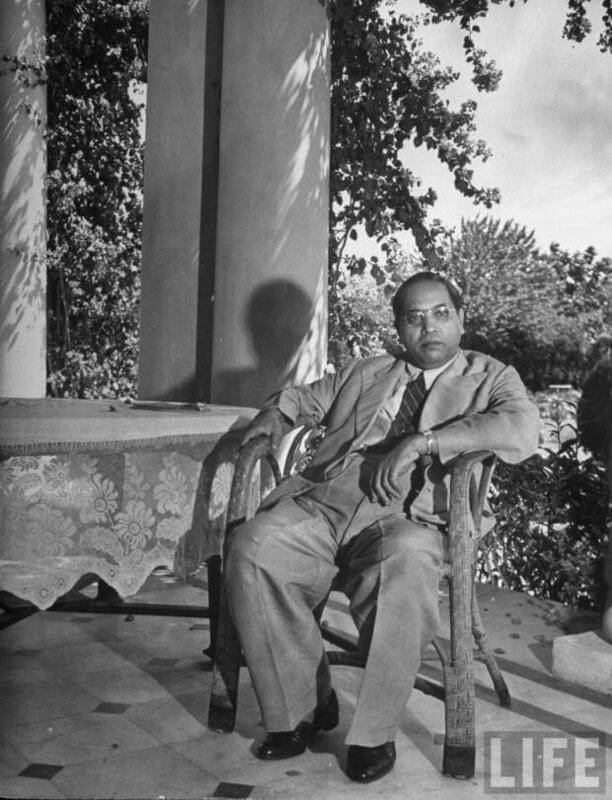 Dr Bihmrao Ambedkar was India's first law minister. He is known as a reformer who helped constitute policies for the upliftment of women and backward castes in India. 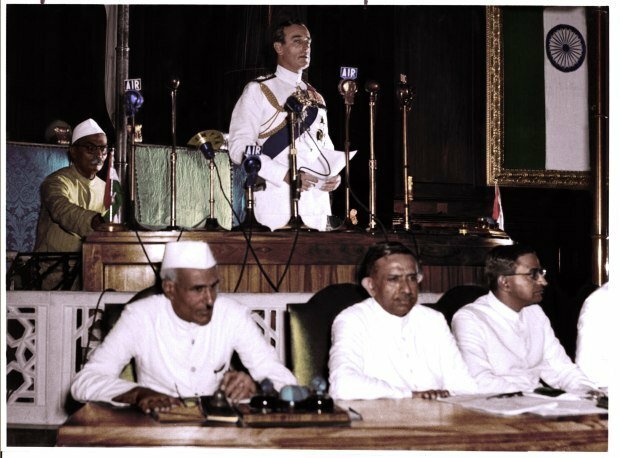 He was also the principal architect of the Indian constitution. Daughter of Jawaharlal Nehru, Indira Gandhi went on to become the first woman Prime Minister of India. This picture was taken by photographer Carl Mydans in 1956 when she accompanied her father on his visit to The US and Canada. 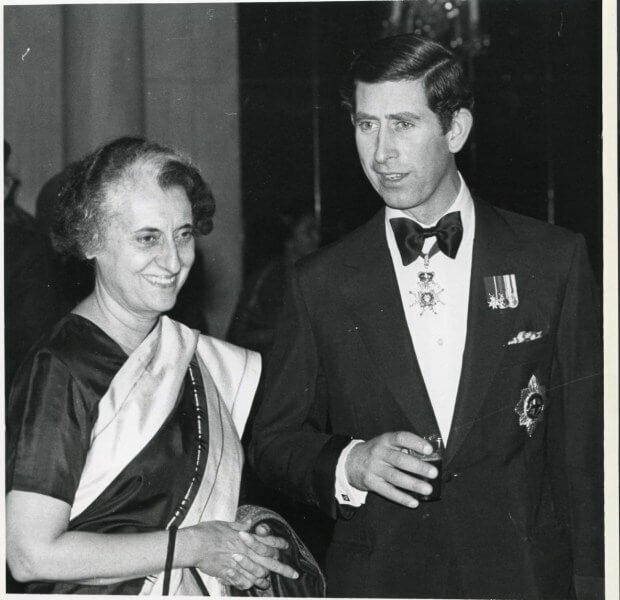 And in this photo from 1980, she is seen with Britain's Prince Charles in a banquet. Jayaprakash Narayan was a freedom fighter, who went to jail several times during the British rule. 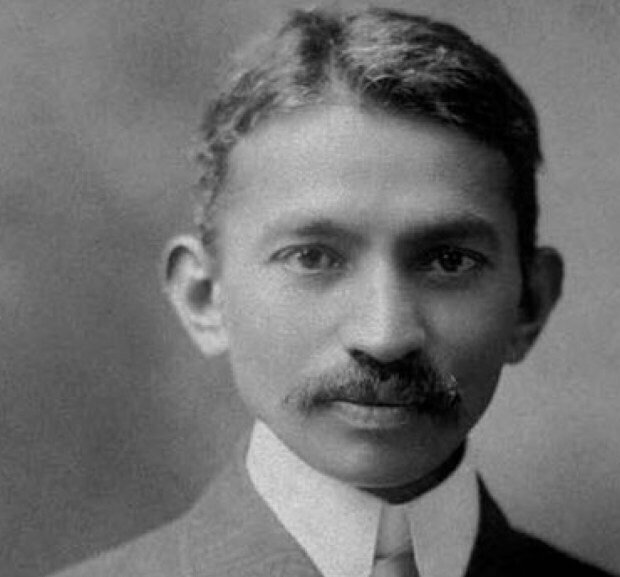 He considered Mahatma Gandhi as his mentor and joined the INC in 1929. 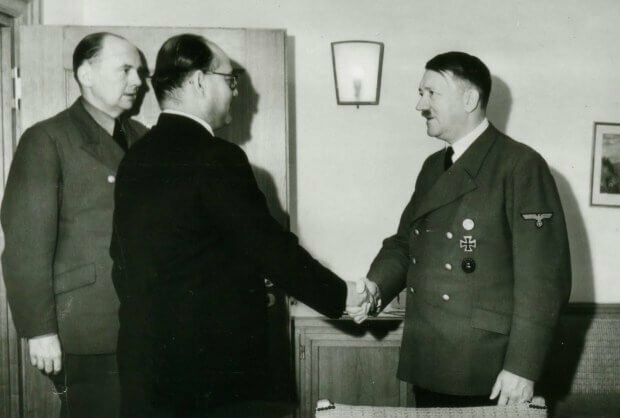 However, he is known for the biggest revolution in India after the Independence,when in the mid-1970s, he called for a 'total revolution' in order to overthrow Indira Gandhi. 14. The Gandhi from Italy. Born in Italy, Sonia Gandhi met Rajiv Gandhi, Jawaharlal Nehru's grandson when she was studying at Cambridge, UK. 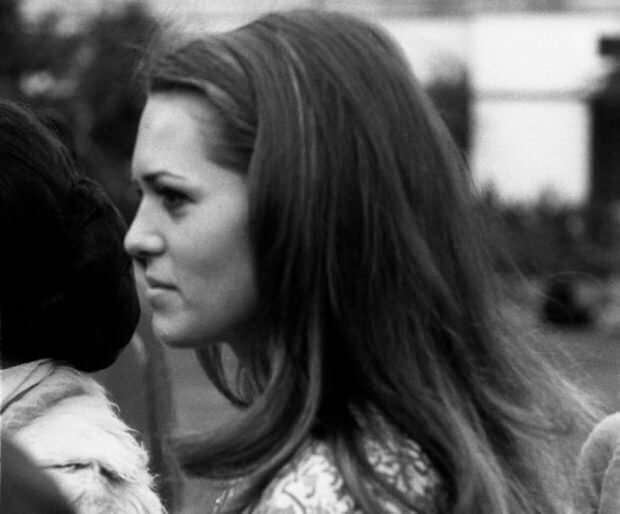 She married him and moved to India in 1968. 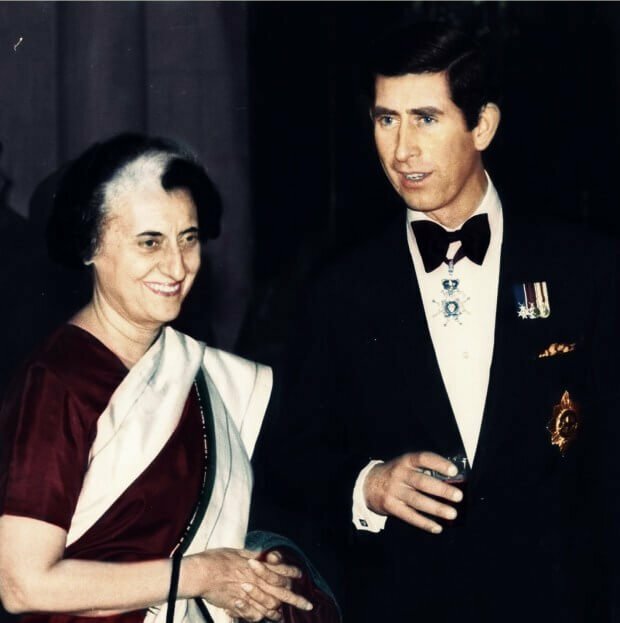 Her husband also went on to become India's Prime Minister before he was assassinated. SoniaGandhi became the President of the Indian National Congress and is known to be one of the most powerful women in India. 15. The first queens of Bollywood. Madhubala and Begum Para were two of the most popular Hindi film actresses in the 1940s and 1950s. 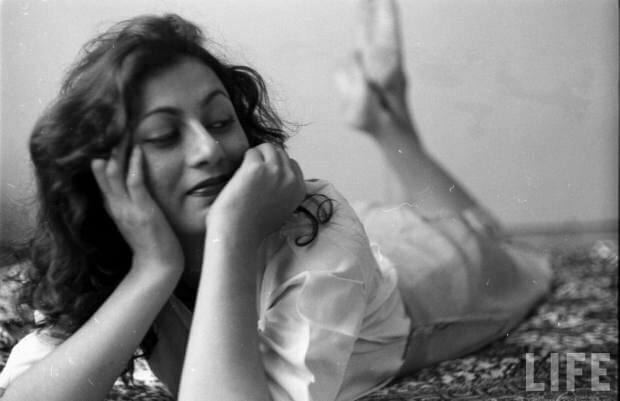 While Madhubala is considered to be one of the most beautiful actresses ever, Begum Para was considered a glamour girl in Bollywood, so much so, thatLife magazine had a special session with her devoted to her fine sensuous photographs. 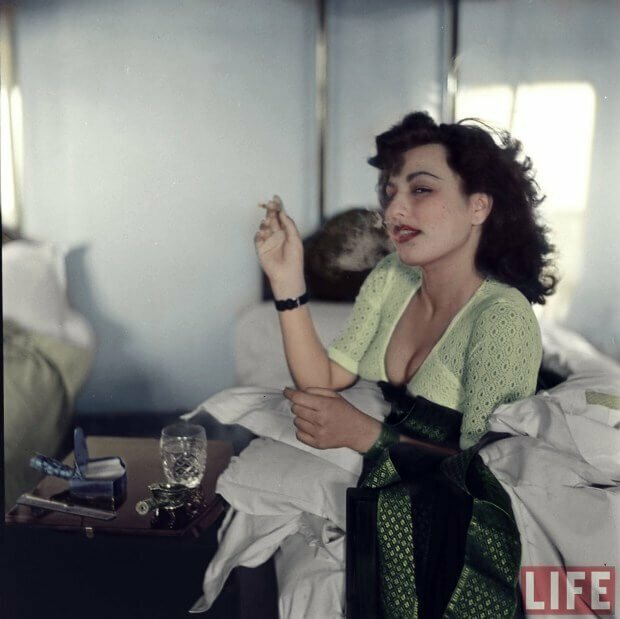 Both these images were taken by photographer James Burke in 1951. Another picture of a meeting between two greats. 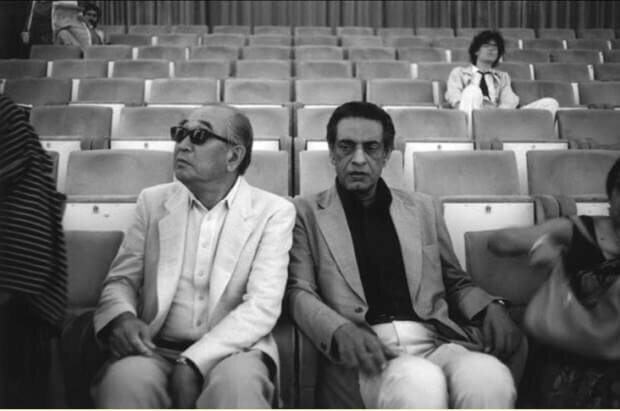 Seen here are Akira Kurosawa of Japan, along with Satyajit Ray of India, two of the greatest filmmakers in the history of cinema, attending the Venice Film Festival in 1982. To enjoy more of Dimple Negi's works, visit her blog. She is also working on a novella and doing a book-a-day project on Instagram.